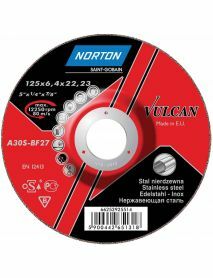 Norton Vulcan has been designed specifically for Inox grinding applications. 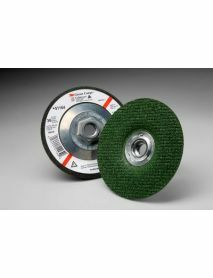 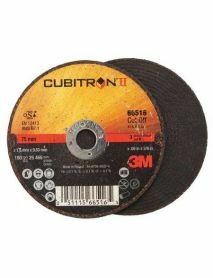 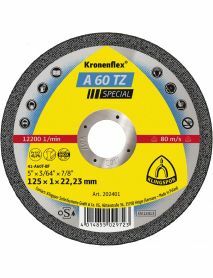 Made up of sharp aluminium grains this wheel offers longer life and higher material removal rates, making it ideal for a number of your industrial applications. 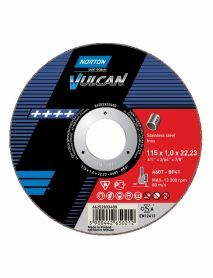 Norton Vulcan has been designed specifically for Inox cutting-off applications. 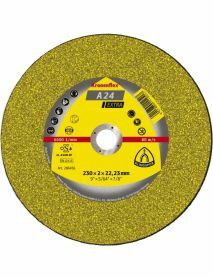 Made up of sharp aluminium grains this wheel offers longer life and higher material removal rates, making it ideal for a number of your industrial applications.